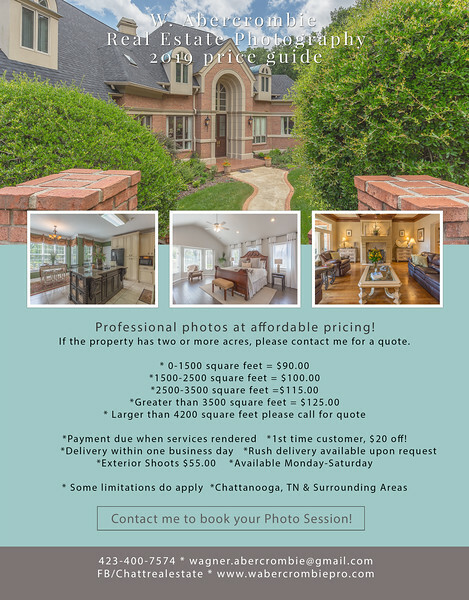 I specialize in affordable, reliable, and professional real estate photo sessions. I offer quick turn around times and same day services are available for an additional fee. The realtor or a home owner is required to be at all listing shoots. Travel is included in all pricing up to forty miles. You may also visit my real estate photography Facebook page to see more of my work and read more reviews. Please follow the link provided below.